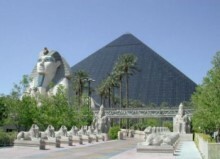 The mysteries of Ancient Egypt are certainly the most attractive side of visiting Cairo. The pyramids and other structures have fascinated visitors from many different kingdoms, empires and countries for thousands of years. 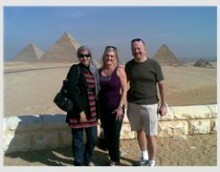 And there are many different private tours in Egypt that focus on the most popular sites associated with the affluent heritage of the ancient civilization. I myself provide different options for full-day and half-day tours of the most popular landmarks, so you’ll have a selection of possibilities to consider when booking your tour. The full-day version of my tour, besides the aforementioned attraction, also delivers a visit to Saqqara, Memphis and Dashur as an option. The Saqqara necropolis is known for several of the oldest pyramids, which were built using different techniques than those used in the construction of the Great Pyramids. Memphis was the capital and also a major city in the Ancient Kingdom for centuries, and today houses many remains and well-preserved structures including temples and statues. Dashur is another necropolis, where you can find examples of all types of pyramids, depicting the evolution of their engineering genius. With the full day tour you will enjoy a more profound experience of the ancient wonders and assess the formidable level of development that took place more than 2,500 years ago in the region of present day Cairo.